INDIANAPOLIS, Ind., Sept. 7, 2011 – The Pan American Gymnastics Union has conducted the competition draw for next month's Pan American Games, which will be held at the Nissan Gymnastics Stadium located in the Adolfo Lopez Mateos Sports Complex in Guadalajara, Mexico. 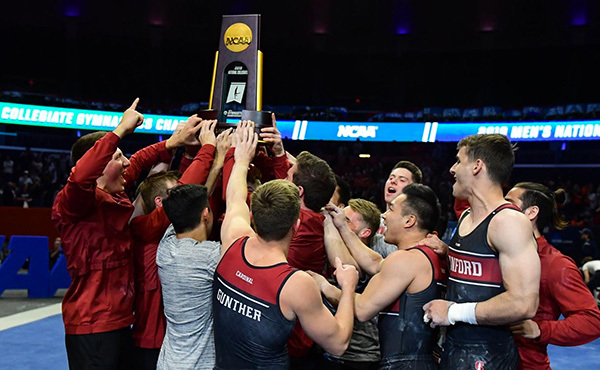 Gymnastics competition begins with rhythmic gymnastics on Oct. 15-18, followed by trampoline from Oct. 17-18, and men's and women's artistic gymnastics, Oct. 24-28. In rhythmic gymnastics, the U.S. athletes will compete ninth and 25th on the first day of competition. The field of competitors includes athletes from Argentina, Brazil, Canada, Cuba, Colombia, Guatemala, Venezuela, and the United States. 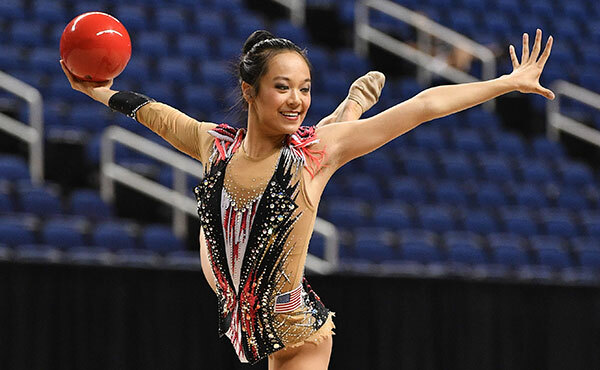 For the rhythmic team event, the five-woman group from the United States will compete third against teams from Brazil, Canada, Cuba and Venezuela. Four trampoline athletes – two men and two women – will compete for the United States in Guadalajara. In the women's qualification round, U.S. athletes will compete sixth and eighth. For the men, the Americans will compete in the second and sixth spots in the qualifications. 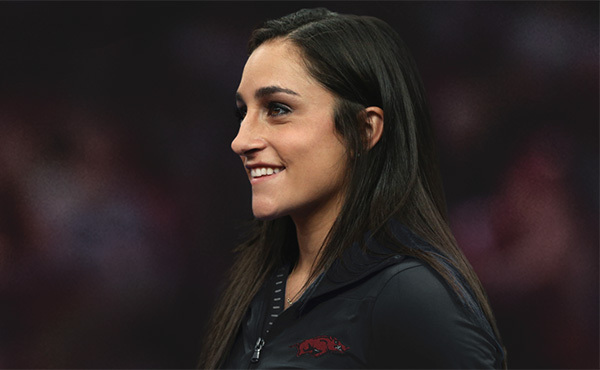 Six men and six women will represent the USA in artistic gymnastics. 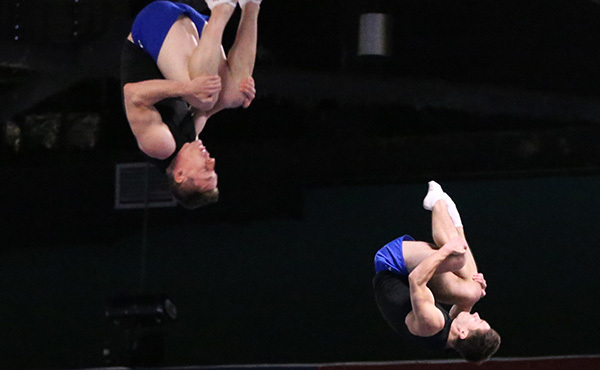 The U.S. men will compete in the first subdivision alongside teams from Canada, Colombia, and Mexico, starting on vault. For the women, the Americans will compete in the second subdivision, also starting on vault and rotating in Olympic order. Subdivision two also includes teams from Colombia, Mexico and Venezuela. The first day of competition serves as the team finals and the qualification round for the all-around and individual event finals. The gymnasts who will represent the United States in men's gymnastics and trampoline have been named. Donothan Bailey of Lake Forest, Calif./University of California – Berkeley; Glen Ishino of Santa Ana, Calif./University of California – Berkeley; C.J. Maestas of Corrales, N.M./University of Illinois; Sho Nakamori of Albany, Calif./Stanford University; Paul Ruggeri of Manlius, N.Y./University of Illinois; and Brandon Wynn of Voorhees, N.J./Team Hilton HHonors will compete in the men's competition. 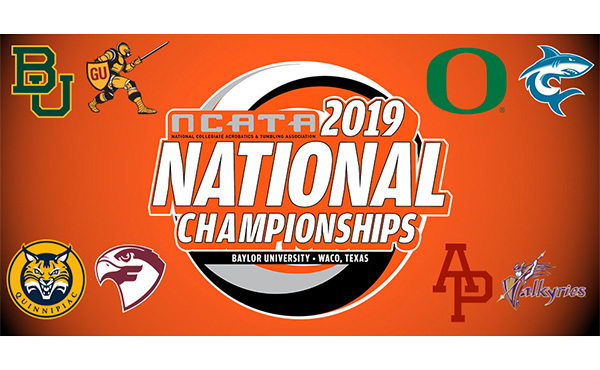 For trampoline, Dakota Earnest of Plains, Texas/Acrospirits; Jeffrey and Steven Gluckstein of Atlantic Highlands, N.J./Elite Trampoline Academy, and Alaina Williams of Amarillo, Texas/Acrospirits, will participate in the competition. The athletes in rhythmic and women's gymnastics will be named later this month, pending approval by the U.S. Olympic Committee. Here's a quick overview of gymnastics at the Pan American Games. Competition: Competition in individual and group rhythmic gymnastics. Individual rhythmic gymnastics: medals for all-around and event finals for hoop, ball, clubs and ribbon; 10 best gymnasts in all-around preliminary rankings advance to the finals; and the top eight (max two per country) in the preliminary rankings advance to event finals; scores from the preliminary round do not carry forward. Group rhythmic gymnastics: two exercises – ball (five) and hoop (2)/ribbon (3); all groups advance to the finals. Age: Gymnasts must be 14 years of age in 2011. Qualification: Countries qualified through 2010 Pan Am Championships. Medals: six medals – three for men and three for women. Competition: Two routines in qualifying round (compulsory and voluntary/optional); finals have one voluntary/optional round; all gymnasts in the qualifying round advance to finals. Age: Must be at least 17 years of age in 2011. Qualification: Qualified at the Pan American Cup 2010. Team competition: six gymnasts on each apparatus, with four best scores counting. All-around: top 24 in the all-around prelim rankings (team finals) advance to the finals, with a maximum of two per country. Individual event finals: Top eight for each apparatus (maximum two per country) advance to individual event finals, based on prelim rankings (team finals). 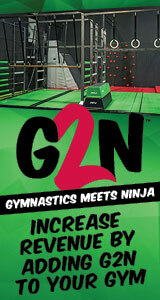 Age: Gymnasts must be 16 years old in 2011. 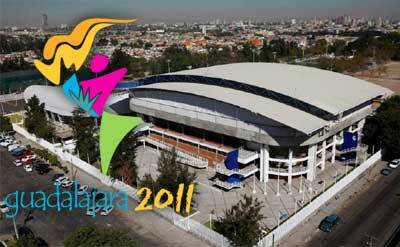 Qualification: Countries qualified through Pan Am Championships in September 2010. Scores: Scores from the team competition, which functions as prelims for the remaining events, do not carry forward. 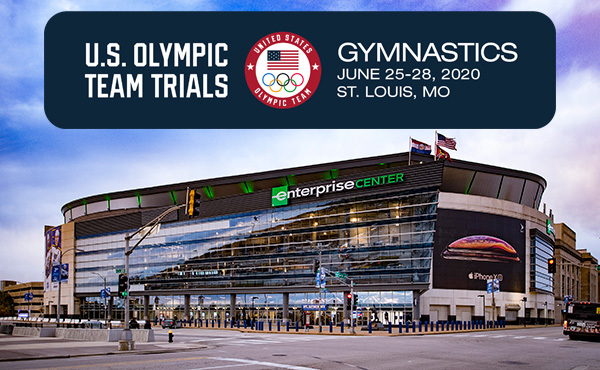 The Pan American Games represent the largest contingent of Team USA athletes to compete in an international sporting event, with approximately 650 U.S. athletes gearing up for the 2011 Games.